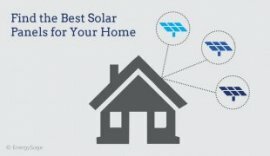 What are the Best Solar Panels Available Today? Generally speaking, SunPower, LG and Panasonic are the best solar panels on the market in 2016 due to the efficiency, price and stellar 25 year warranty offered by each brand. SunPower is widely considered the best solar manufacturer with module efficiencies upwards of 22%. How can you determine which of these top companies’ panel models offer the right combination of price and quality for your needs? To solve this problem, EnergySage developed a proprietary rating system for solar panels that helps you make sense out of the many options available on the market today. To do this, we combed through the detailed technical specifications for every panel manufactured by the 25 most popular companies on the EnergySage Solar Marketplace. In total, we assessed nearly a thousand panel models. With this information, we then evaluated over 25 variables for each panel’s performance, quality, durability, and warranties to give each a tailored ranking, ranging from Economy on the low end to Premium + on the high end. The table below contains the very best solar panels we found out of our list of nearly one thousand, sorted by our proprietary EnergySage Rating. 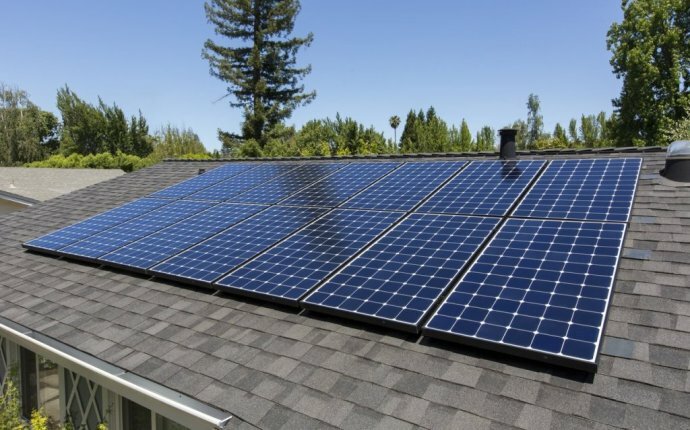 When searching for the best solar panels for your home, you should take into consideration a panel’s performance, quality, durability, and warranties. There are three major technical specifications that can help you as you make your decision: panel efficiency, temperature coefficient, and the materials warranty. To develop our ranking of the best solar panels, EnergySage evaluated these metrics for all of the solar panels offered by the top 25 manufacturers in the EnergySage Solar Marketplace. Solar panel efficiency refers to how well your solar panel can convert sunlight into usable electricity. A higher efficiency rating is better, because it means that your solar panel is able to convert more of the sunlight it captures into electricity. The best solar panels available on the market today are SunPower’s X-Series Residential Solar Panels, which are 22% efficient and received a Premium + rating from EnergySage. The temperature coefficient tells you how well your solar panels will perform in less-than-ideal conditions. Solar panels are like any other kind of electronic equipment: they operate most efficiently when they are kept cool (ideally around 25° C or 77° F). The temperature coefficient gives you a sense of how your panel’s performance will degrade during hot summer days. For every degree above 25° C (or 77° F), your solar panel’s electricity production will decrease by the temperature coefficient. A lower temperature coefficient is better. For example, Panasonic’s VBHN240SA11 model has a temperature coefficient of -0.3 %/°C. This means that if your solar panel’s temperature increases by one degree Celsius (from 25° C to 26° C), its electricity production will fall by 0.3%. If the temperature increases ten degrees Celsius to 35° C (or 95° F), the panel will produce three percent less electricity. While 95° F might seem high to you, remember that the surface of your roof can get much hotter than the air around it when the sun is beating down on it. Whether you’re buying a new TV, a car, or solar panels for your roof, you should expect the manufacturer to stand behind their product with a strong warranty. A solar panel’s materials warranty (sometimes referred to as the product or equipment warranty) protects you against equipment failures due to manufacturing defects or environmental issues. Most companies offer at least a 10-year materials warranty, but the best solar panel manufacturers will guarantee against equipment failures for 15 or even 25 years. Almost all of the panels in our ranking offer a materials warranty of more than 10 years.